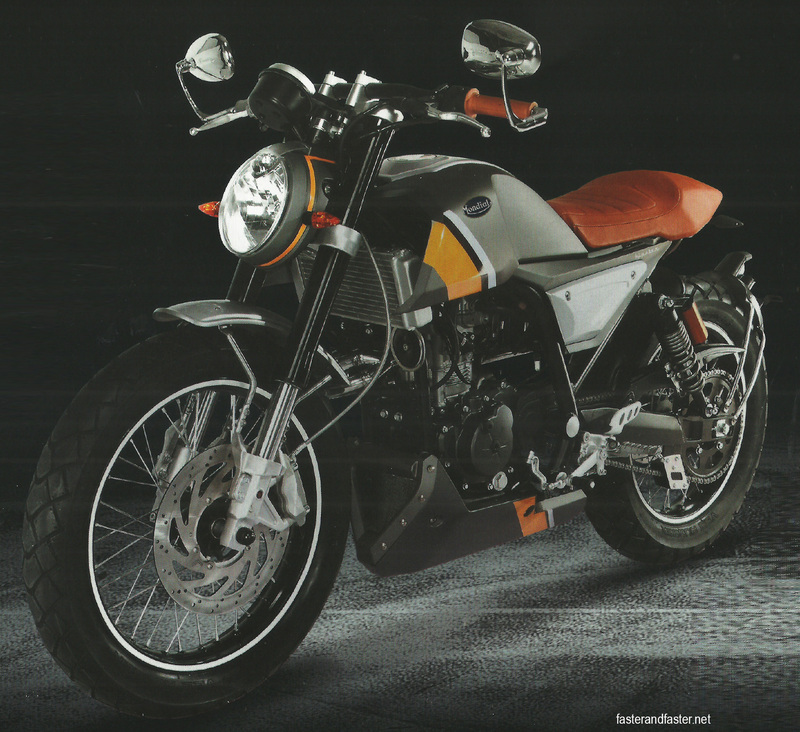 The all-new 2017 Mondial Hipster 250 and Hipster 125 scramblers look pretty good to us, though the name "Hipster" is a bit tacky. FB Mondial also plan to design and build at least three other bikes between 2017 to 2023. Welcome back, Mondial! Remember FB Mondial" It?s yet another of those once-great Italian motorcycles companies that have disappeared into the mists of time, with occasional, mostly unsuccessful attempts at ?resurrection? made by various people over the last few years. Based in Bologna, Italy, FB Mondial (with the ?FB? standing for Fratelli Boselli) was set up in the late-1940s by the Boselli family. Their bikes were apparently pretty good because from 1949-1957, FB Mondial won four motorcycle roadracing world championships in the 125cc class and one world championship in the 250cc class. In fact, up until the late-1950s, companies like Honda, Ducati and MV Agusta were using Mondial motorcycles as examples, to learn and improve their own machines. Mondial?s gradual decline started in the early-1960s, when the company stopped making their own engines, preferring to buy engines from other manufacturers and using those (albeit with Mondial?s own chassis and other components) to build Mondial-branded bikes. Production finally stopped in 1979. From the late-1990s up until the present time, there have been various attempts at reviving Mondial, with one of the interim owners even building an all-new Mondial superbike ? the Mondial Piega 1000 ? using the engine from the Honda RC51 (also known as the RVT1000R in the US and VTR1000 in Europe and other markets). In 2005, Mondial Moto S.p.A. was bought over by one Piero Caronni, who also owns the production rights to the twin-stroke Bimota V Due 500. Caronni still, apparently, owns the rights to the Mondial name, having renamed his company as Gruppo Mondial S.r.l. Indeed, after all these years, the Mondial Piega 1000, Mondial Starfighter, and the Bimota V Due 500 are still being offered by Caronni via this website!